Greater Philadelphia Bicycle News: Experience bike sharing this week! 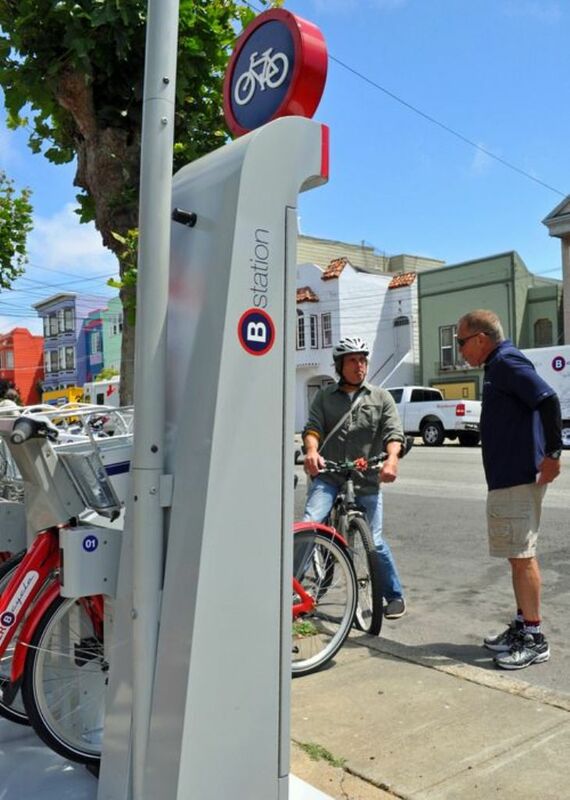 Experience bike sharing this week! You are encouraged to come and try out these bikes and this bike share station. They are from the same bike-sharing system currently being used in the Denver, Colorado B-cycle program and in this summer's Chicago, Illinois pilot program. Experience the future of public transportation on two wheels with a system which can provide door-to-door mobility. 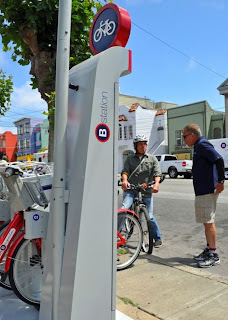 If it can be done in Minneapolis, Washington, DC, Denver, Chicago, and will soon be on the streets of Miami Beach, San Antonio, Des Moines and Honolulu, then there is no reason why Philadelphia can't move from only a demonstration of bike sharing to the real thing. Assistance at the event will be provided by the Ambassadors of the Bicycle Coalition. Any idea how long Chestnut street will remain torn up from 38th to 30th streets? I hate commuting down Market in the morning. Email John@bicyclecoalition.org with this question, as he would know. If you don't like Market you can try Spruce which was just recently repaved from 38th - 33rd, then take 33rd to Chestnut. That at least cuts out 5 blocks. Yes, it's a real pain, and I'm extremely disappointed that no alternative was marked or offered. I believe they might be repaving tonight or this weekend. Unfortunately, between 33rd and the river there is no alternative, so I've been: riding on the sidewalk on Walnut. I haven't done such a thing in years, but I really think there is no alternative in this case - Market street is very very dangerous.